Discussions about encryption are becoming more of a norm than the exception these days, and the situation is only getting direr in certain regions. The Hungarian Parliament is in favour to ban end-to-end encryption in the not-so-distant future. According to local sources, the Hungarian parliament voted on an amendment which prohibits end-to-end encryption in the country. Similar to most other countries in the world taking an aggressive stance on encryption, they label this decision as part of the “ongoing war on terrorism in Hungary”. As a result of this ruling, providers offering end-to-end encryption would have to provide information to the Hungarian government when they file a request. Moreover, any applications used full encryption would be rendered pointless in the country, which may force companies such as WhatsApp to pull out of the region in the future. However, Cabinet Chief Lazar wants to make it clear that services using encryption are not banned in Hungary, yet intelligence agencies would ask providers to monitor communication flows when there is a credible threat of terrorism. No details were provided as to what would be classified as a “credible threat”, though. But that is not all, as this amendment would allow government officials to restrict public gatherings and install recording devices in areas of importance to protect national security. France has proposed a similar approach to fight terrorism several months ago, yet that proposal was shut down quickly. Now that the legislation of this amendment has passed in Parliament, end-to-end encryption is coming under severe pressure in Hungary. It is worth noting this amendment is a less severe version of the original draft, which would see end-to-end encryption users being jailed for using this method of communication. Additionally, developers will not need to install backdoors for government monitoring either. However, officials may ask developers to decrypt particular communications, which is a different means to the same end. 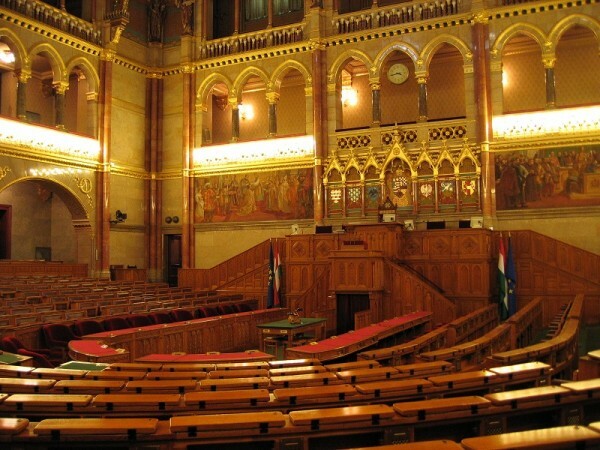 What are your thoughts on this legislation passing the Hungarian Parliament? Let us know in the comments below! The post Amendment To Ban End-to-End Encryption Passed By Hungarian Parliament appeared first on Bitcoinist.net.